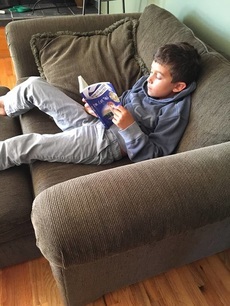 "​My (almost) 8 year old gymnast LOVES this series and is begging me for more of your books!!! If that isn't a 5 star review I don't know what is ;-) thanks for the great stories that have my kid hooked!!" "My name is T and I'm almost 8 years old. I have read all three of your books and I like your books A LOT. I am also a gymnast. I like the books so much I am writing to you to ask you to write more books. Could you write more books? When can I buy them?" "The perfect read for young athletes. Entertaining and technically accurate, which doesn't usually happen." 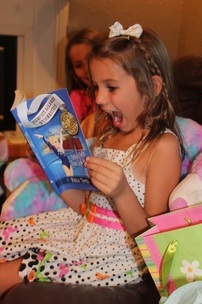 "My daughter (age 8, level 4 gymnast) loves these books. She is a bit of a reluctant reader -- and much prefers spending her time in the gym. These books have grabbed her interest. She appreciates that the routines/skills described in the book (the characters are level 3, I believe) are accurate, and finds the stories relatable. Perfect reading level for grades 2-4. Looking forward to the next one!"